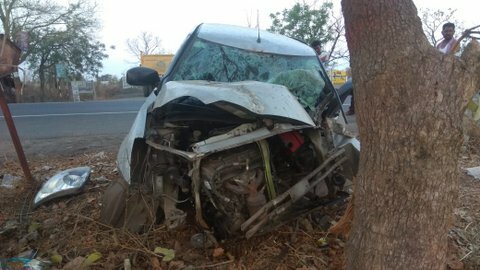 NAGPUR: In an unfortunate incident, a Maruti Swift on board five teachers apparently collided with a tree at 3:30 am on Thursday night near Champa in Umred. 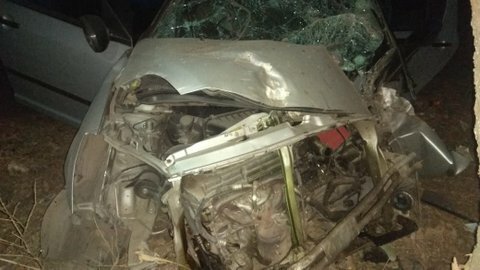 While two out of the five lost their lives, three are said to be critically injured. The teachers were on their way back home to Umred at 2:30 am after completing their election duty in Nagpur. 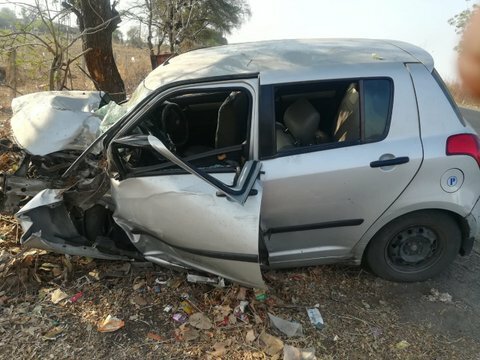 Out of the two deceased, while one (identified as Mendhule) was a teacher at Ashok Kanya Vidyalaya, the other (identified as Pundalik Bahe) was a headmaster at Khaparde Vidyalaya, Salwa.